Home » Bozeman Montana Real Estate Blog » Tidbits » Bozeman Summers are Paradise! There’s no place I’d rather be than Bozeman in the Summer. It’s paradise, and it’s fun. 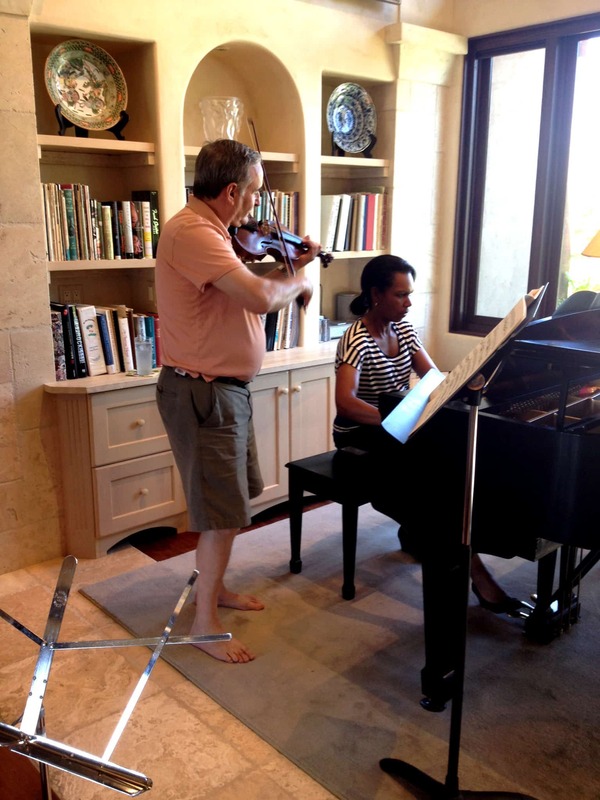 Take this past weekend—it began Friday morning, early, with Condi Rice and Peter Zazofsky arriving at our home in order to practice Beethoven. 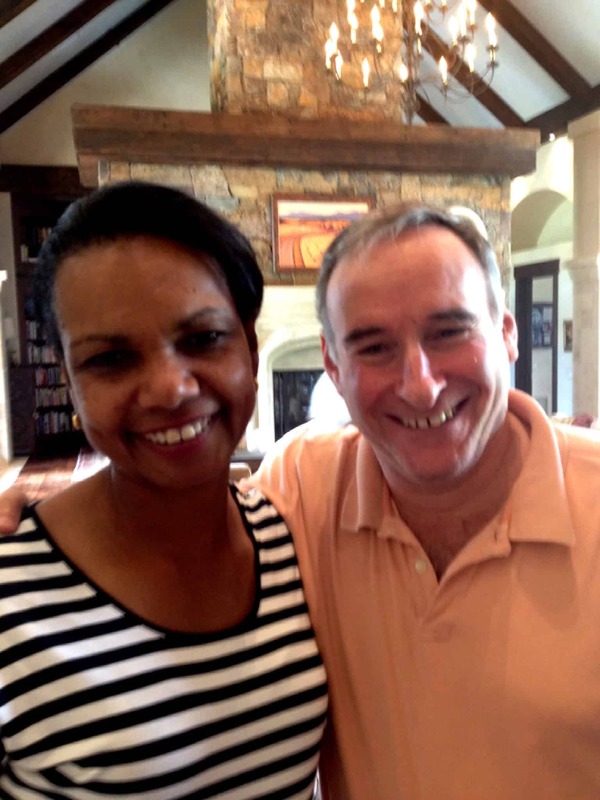 Most of you know Condi, but Peter is equally famous in the world of musicians. A principal of the Muir Quartet, he is one of the finest violinist in the world. Standing barefoot in our living room, sweet music filling the air, he and Condi and laughed and cajoled, and played and played. 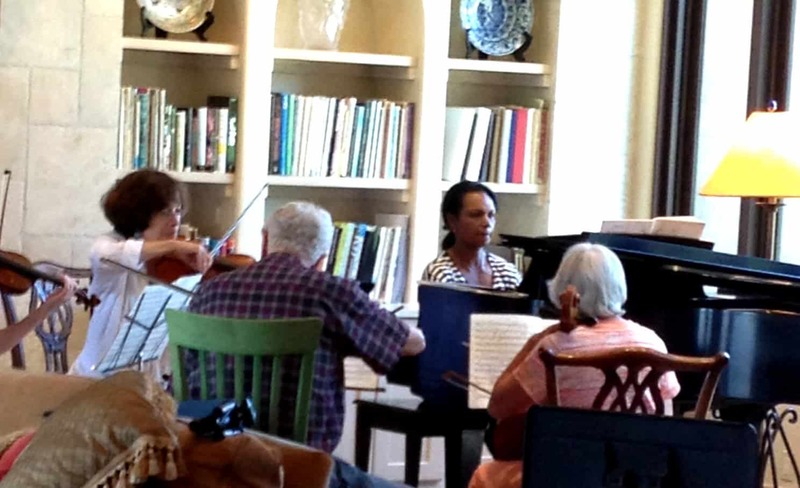 Then, others arrived to practice for a performance and to be coached by Peter, who teaches music at Boston University. I prepared them lunch. 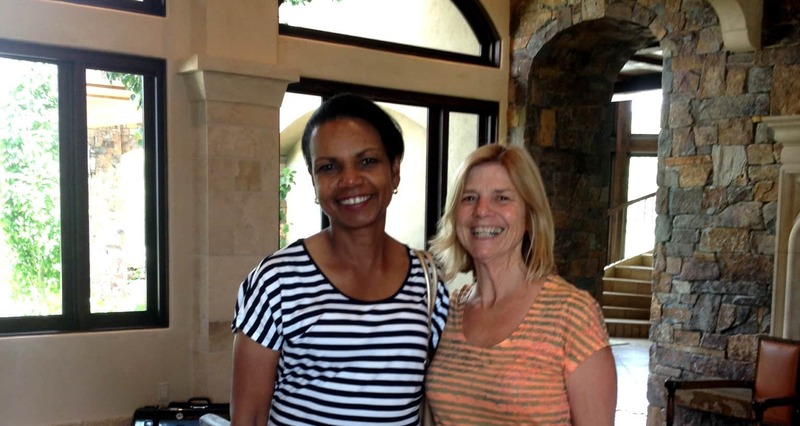 What do you feed one of the world’s most noted women? 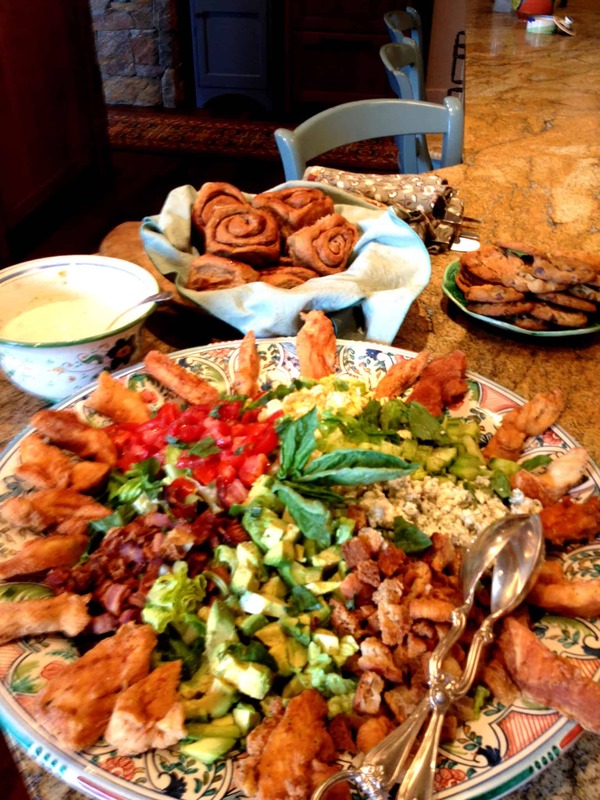 I created a Cobb salad, served on one of my large Italian platters, with homegrown romaine lettuce, bacon, avocado, chopped tomatoes, cucumbers, blue cheese, eggs from my chickens, and surrounded with fried chicken tenders. I also made cinnamon rolls, and ginger and chocolate chip cookies for dessert. 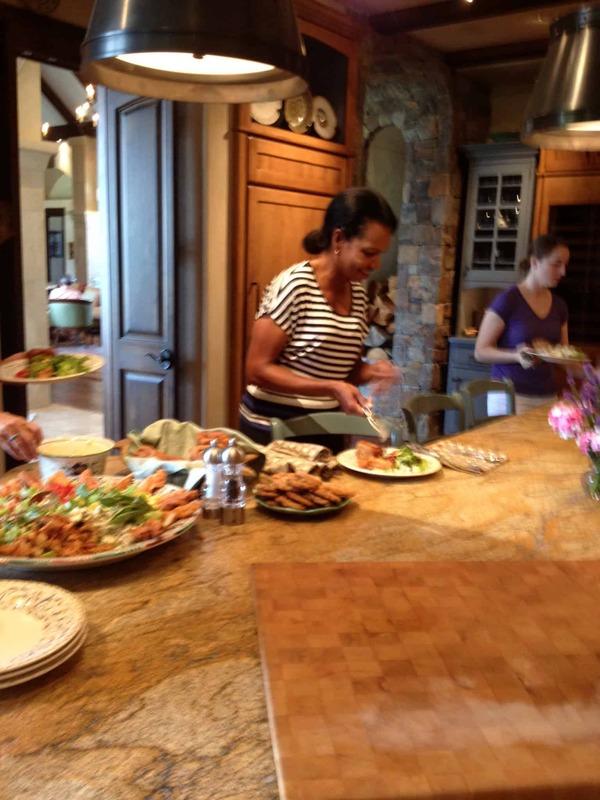 Condi ate it all, as did the others, and table discussions were lively and varied. An hour later, my husband’s first cousins and spouses arrived from Philadelphia and Kansas City, and we began an action packed weekend of family remembrances, hikes, great meals, laughter,and just plain enjoying each other. Comments Off on Bozeman Summers are Paradise!